The Prada Corolle bag is an extremely versatile accessory, suitable for both day and evening use. 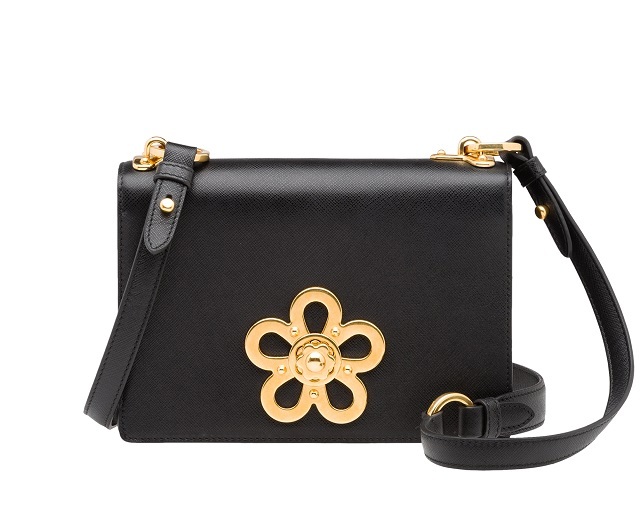 The three versions available all come with a flower clasp, the epitome of femininity. The saffiano leather models with a raw edge design are available in two different versions: one with an interchangeable shoulder strap, and another with a chain strap that can be removed to convert the bag into a clutch bag. 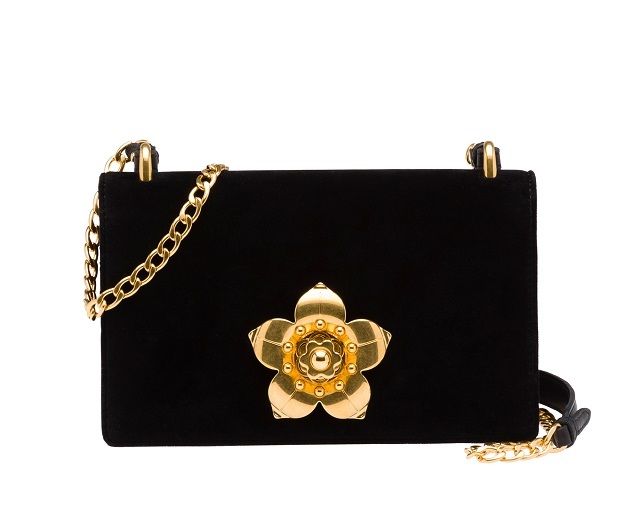 The velvet model, meanwhile, has a fixed chain strap and metal accessories with a gold finish. A post Christmas gift is never too late.